iPi Transport is the only PNG based haulage operator which has the full ISO 9001:2015 Quality Assurance Certification and are at the forefront of professional industry qualifications. We're industry leaders in specialist bulk fuel and dry cargo movements. With local and international knowledge and expertise, our professional and dedicated staff and management teams bring a depth of understanding and experience to each of our business arms that is unsurpassed. The iPi Group’s Catering is driven by pure passion to provide the very best of large volume exceptional food service to its valued clients. Holding full ISO 9001:2015 Quality Assurance Certification and HACCP Accreditation at multiple locations. The iPi Group provides innovative and tailor made storage solutions to our clients within the Asia-Pacific region. At the iPi Group logistics solutions are the very essence of our proactive and responsive culture. 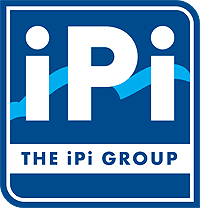 The iPi Group is a major and commercially diversified enterprise operating in a wide range of industries from trucking and logistics, extreme large volume dry freight and fuel road transport, retail and wholesale, hoteliers, plantations, bulk warehousing, import/export and customs agency, and with operating businesses and investments both in Australia and in Papua New Guinea.